S.S. Beatrice, formerly River Beatrice, is set to relaunch in Spring 2018 as Uniworld’s newest “Super-Ship,” featuring a largescale renovation from bow-to-stern to provide you with a river cruising experience like no other! Some of the new features include a redesigned lounge, the addition of an elegant staircase and an expanded dining venue that replaces the Captain’s Lounge and Library. 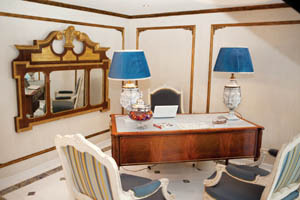 Uniworld also added two more royal suites, another owner’s suite and additional connecting rooms for family cruises. 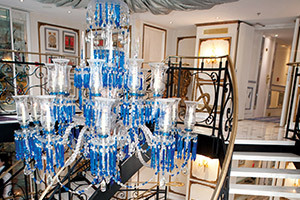 With its upcoming release, S.S. Beatrice will continue Uniworld’s reputation of being one of the best river cruise companies in the world. Traveling along the radiant Danube River, the all-new S.S. Beatrice will deliver you to ports, sights, and lands that you would not encounter on an ocean liner. Don’t be fooled by the small size of S.S. Beatrice; as soon as you step aboard, you will instantly be able to live your dream of trekking through Central Europe. With her advanced deck plan, you can be sure that your comfortable journey will be one of a kind. The highlight of any Uniworld river cruise is the river itself, along with the curious destinations that are just begging you to explore their best-kept secrets. The 2018 itineraries for S.S. Beatrice are Grand Christmas and New Years, European Holiday Markets, Delight Danube, Delightful Danube and Prague, and Portraits of Eastern Europe. Prepare for all of your traveling dreams to come true with these fantastic itineraries! Your dream vacation is just one click or call away. Don’t miss out on the exclusive savings and limited-time deals you’ll get by booking with us. Contact us now to start instantly saving on your next voyage aboard S.S. Beatrice. Imagine the smell of roasting chestnuts and grilling sausages filling your nostrils as you take a bite into a fresh piece of crumbling gingerbread in the Gingerbread capital itself; sipping mulled blueberry wine as a real princess lulls you with a story; watching the production of a real BMW car from start to finish; sipping a strong coffee and sweet treat at a combination bakery and chocolatier; smoothly pedaling past orchards, castles, and villages through the Austrian countryside; taking a private tour of the Vienna Art history Museum; exploring the fascinating Serbian capital; ; sampling local beers in a Straubing brewery; hiking past fascinating limestone rock formations; watching a mesmerizing glass-blowing demonstration at the Theresienthal glass factory; visiting Vlad the Impaler’s tomb (who inspired the character Dracula); celebrating Christmas at a country barn party; or exploring some of Europe’s largest, most romantic and most fun-filled Christmas markets. With S.S. Beatrice, all of these and more are real possibilities, hassle-free and with everything you need provided to you. Have fun while checking off your traveling bucket list with all of the phenomenal stops along the Danube River. Following the refurbishment of S.S. Beatrice, you can expect to find some all-new, state-of-the-art amenities onboard this ship. 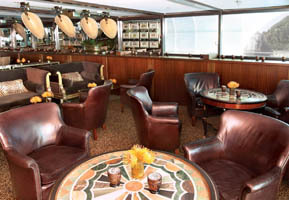 Some of these new features include the exclusive Captain’s Club, two 24-hour coffee and tea bars, a rejuvenating spa and heart-pumping fitness center, a mouthwatering main restaurant and a relaxing lounge-bar for your ultimate comfort and enjoyment. You will never fall short of something to do! 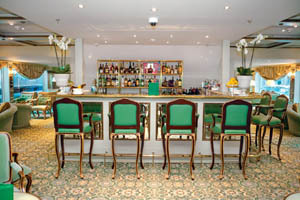 A main highlight of sailing on S.S. Beatrice is the unforgettable culinary experience. Seasoned with all the best flavors and dishes from every single stop along the way and flavored with the freshest and most authentic of ingredients, your taste buds will have you coming back for more each night. After a long day of sightseeing you will probably work up quite the appetite, and you can be sure that the food aboard S.S. Beatrice is some of the best that you’ll ever have in your life. On this cruise ship, you will waste no time experiencing authentic European flavors, both offboard and onboard. With chefs picking ingredients from local markets, your food will be the freshest rendition of local cuisine that will simply make your mouth melt. Along with your dinner, enjoy hand-selected wines paired with your food, truly giving you the best of both worlds. Afterwards, you can retire to your safe and secure stateroom, where you can bask in the comforts of elite accommodations that are sure to amplify your life-changing journey aboard S.S. Beatrice even more. Low Price Guarantee on all S.S. Beatrice Cruises! Book any S.S. Beatrice river cruise with us and you'll get the best deal possible, regardless of the ship or sail date! 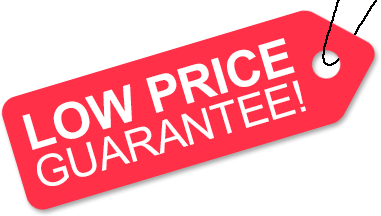 Because of our "Low Price Guarantee," nobody beats our S.S. Beatrice cruise prices, so look around and you're sure to find the best S.S. Beatrice cruise deal possible when booking with us! We do not charge booking fees on any cruises! You're sure to enjoy an affordable S.S. Beatrice cruise when booking with us! Our special offers on S.S. Beatrice cruises may not be combinable. Certain restrictions apply to each offer. Click a price below to view the S.S. Beatrice cruises during that month in that destination. There is 1 Grand Suite stateroom on board S.S. Beatrice. This accommodation can fit up to 2 guests. The Royal Suite includes all amenities listed above. This accommodation can fit up to 2 guests. The Grand Suite includes all amenities listed above. These accommodations can fit up to 2 guests. Deluxe french Balcony cabins include all amenities listed above. These accommodations can fit up to 2 guests. Classic cabins include all amenities listed above. The deck plans of S.S. Beatrice provided on this page are subject to change. We reserve the right to correct errors. Please verify all information with Uniworld directly. For photos of staterooms, please click the accommodations tab provided above. The following photos are of S.S. Beatrice's sister ship, S.S. Antoinette. Ship is subject to modifications.